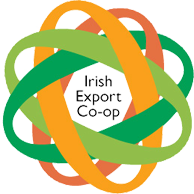 Irish Export Cooperative » What’s a Cooperative? A cooperative (“coop”), co-operative (“co-op”), or coöperative (“coöp”) is an autonomous association of persons who voluntarily cooperate for their mutual social, economic, and cultural benefit. Cooperatives include non-profit community organizations and businesses that are owned and managed by the people who use its services (a consumer cooperative) and/or by the people who work there (a worker cooperative) or by the people who live there (a housing cooperative). What about the Irish Export Cooperative? The co-operative is set up under the code of practice of Friendly Societies. The voting rights for members are one member one vote. 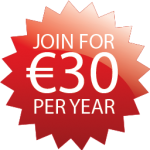 The members will elect a committee of members at AGM to run the co-operative and this committee will delegate all administrative duties to an administrator firm to carry out the day to day running of the co-operative, for the first five years of operation this firm will be SME business consultancy firm SME Capital Funds. There will also be an advisory panel of outside experts set up to advise the co-operative on trade and export issues. The first AGM of the co-operative will be held on the 23rd of November and a steering committee has been set up to run the co-operative until the committee has been elected.